Owning a slow cooker has allowed me to try new things. Before my slow cooker, I would have never attempted to make mashed potatoes. For some reason, I thought it was difficult. Last Thanksgiving, I attempted garlic mashed potatoes from a recipe I found on pillsbury.com. Not only was it a simple recipe, it included garlic. I absolutely enjoy garlic. What’s great about slow-cooking potatoes is that you get to skip the boiling and peeling. The first time I tried this recipe, the mashed potatoes were not as creamy as I would have liked. So, for my second attempt, I added more milk and a half a stick of butter. The original recipe does not call for butter, but it just makes things better and creamier. I also substitute the salt with garlic salt. Yes, more garlic. You can also make this recipe without garlic or go lighter on the garlic. Although, I consider that blasphemous. 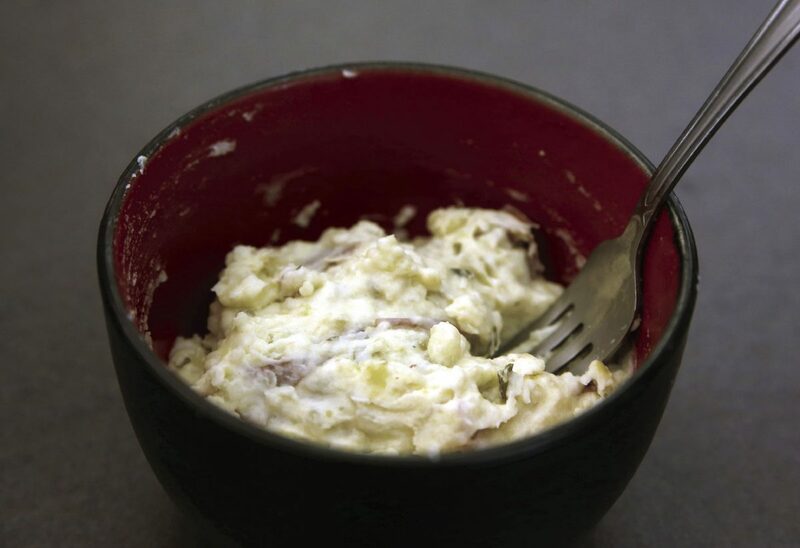 This is also a perfect side dish for Easter dinner. If you are not responsible for the main course, give this recipe a try. In my heart, mashed potatoes are always the main course. The recipe could take up to four hours to complete, so make sure to give yourself time. 1. Cut potatoes as necessary. I cut them in slices. Place in slow cooker. Add garlic, oil, salt and water. Mix well to coat all potato pieces. 2. Cook on high for 3 1/2 hours or until potatoes are tender (potatoes cooked in just under two hours in my slow cooker). 3. Mash potatoes. Stir in cream cheese until well blended. Stir in milk for soft serving consistency. Add butter is desired and mix until melted.